The AMZN stock price climbed more than 2% to $710.73 today (Monday) after the company announced it will start selling its own brand of snacks, diapers, detergents, teas, and vitamins, among other items. 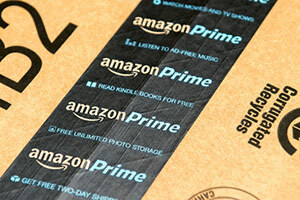 According to The Wall Street Journal, Amazon.com Inc. (Nasdaq: AMZN) could start selling its own brand of packaged goods to Prime members as soon as the end of May or early June. The Amazon brand names include Happy Belly, Mama Bear, Pesto!, and Wickedly Prime. The Happy Belly line will offer things like nuts, trail mix, tea, and cooking oil, according to The Journal. The Wickedly Prime brand will feature a variety of snack foods, other pantry items, and grooming staples. Amazon has applied for trademark protection for pasta, granola, potato chips, and chocolate, as well as razors and air deodorizers. The Presto! line of household products will offer laundry detergent. The Mama Bear brand will feature baby products including diapers, baby food jars, and gentle detergent. The move is expected to boost revenue at Amazon and could be a major catalyst for the AMZN stock price in 2016. Private-label brands typically carry higher profit margins. That's because the companies behind them don't spend a great deal to market them. Amazon's move into consumer packaged goods will also give it even more influence with suppliers. Amazon brand products will receive better placement on its site and will have more muscle to undercut competitors on pricing. In addition to a fresh revenue stream, the move is aimed at increasing the clout of Amazon Prime. Prime is a $99-a-year unlimited shipping program that fuels Amazon's retail growth. Amazon Prime customers are a loyal bunch and spend more on Amazon than non-members. By adding another perk and more offerings, Amazon's best customers will become even more reliable spenders. Of course, the development is not completely risk-free. Amazon will now be selling its own brand of edible, health and well-being, and household products. Just one bad experience, not to mention the potential for a safety issue or recall, could significantly harm Amazon's well-known and coveted brand. But if past is any indication, Amazon should find success. Amazon already successfully sells electronic accessories, office supplies, and clothing under a variety of its own brand names. Amazon is the second-largest apparel seller in the United States, behind only Wal-Mart Stores Inc. (NYSE: WMT). Apparel sales were once dominated by department stores. Friday's Commerce Department report showed overall retail sales rose 1.3% month over month in April. But the category that included online sales grew a much larger 2.4%. Department store sales have slumped 1.7% over the last 12 months, the data revealed. The key takeaway is that consumers are spending more online and for more things at sites like Amazon. Amazon already accounts for half of all sales growth in U.S. e-commerce. Grocery and household private-label brand products means Amazon's share of the e-commerce market will only grow bigger. Amazon continues to expand its reach and presence in a variety of areas. Last week, it unveiled Amazon Video Direct. It allows users to post videos and earn royalties. That sets it up directly against Alphabet Inc.'s (Nasdaq: GOOGL) YouTube. The Amazon stock price is up 38.96% over the last three months and 65.62% over the last year. AMZN stock continues to be a great long-term stock to buy and hold. Follow us Twitter @moneymorning and like us on Facebook.